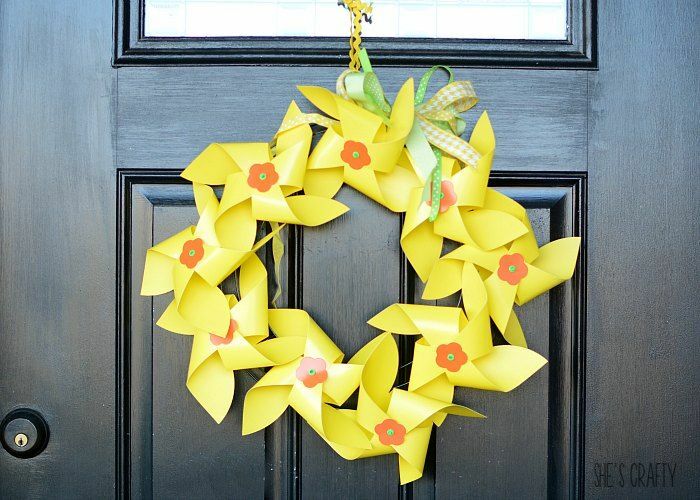 Looking for something non traditional to hang on your door for Spring? Well then I have the project for you. 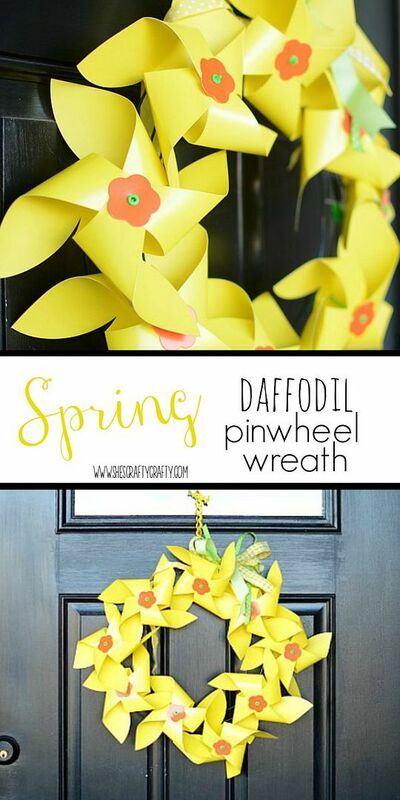 It's a Spring Daffodil Pinwheel Wreath. I am a brand ambassador for Oriental Trading Company. I was sent products in exchange for this blog post. All opinions are my own. 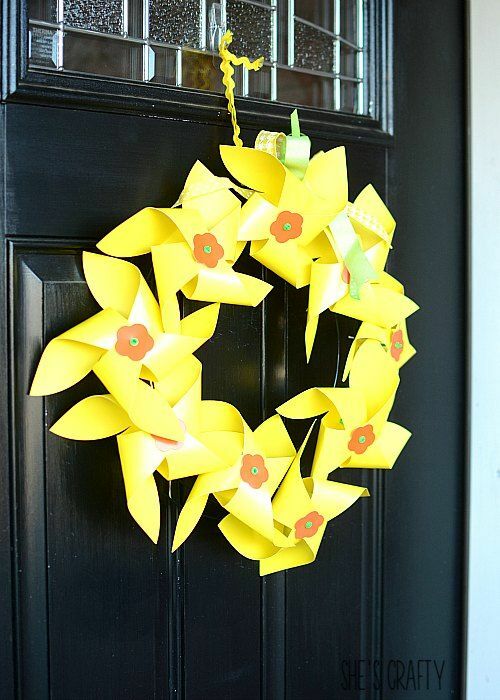 I made a Spring wreath for my front door with this daffodil pinwheel craft kit. 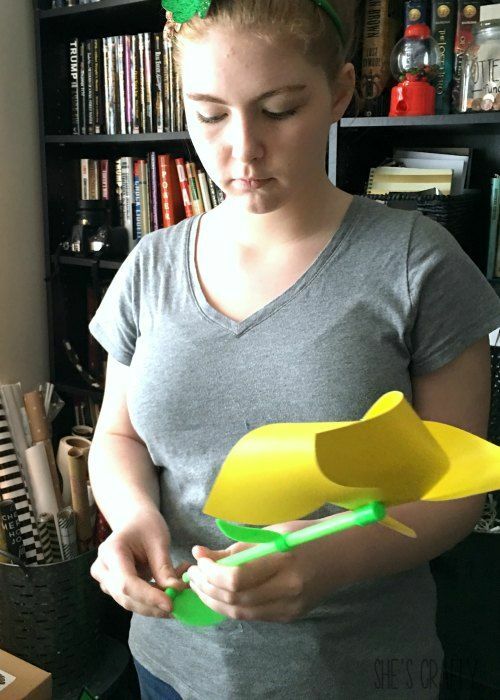 The pinwheels require a little bit of simple construction. It's the perfect thing to do with kids! 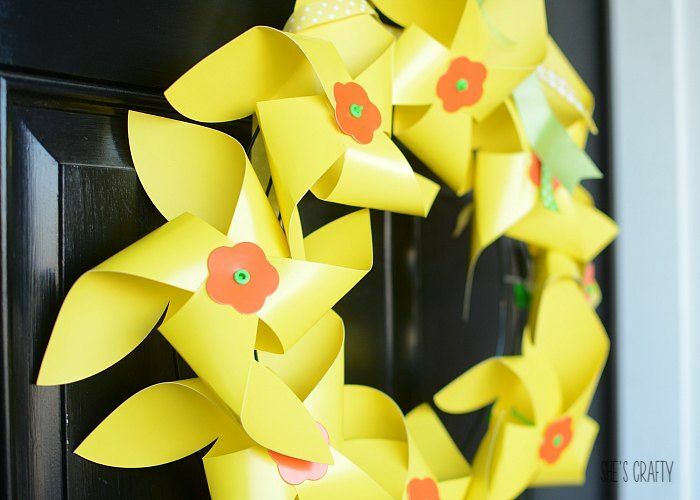 Instead of putting the pinwheels on the included stems, I decided to use them to make a wreath. I used an inexpensive, wire wreath form, that you can get at any craft store. 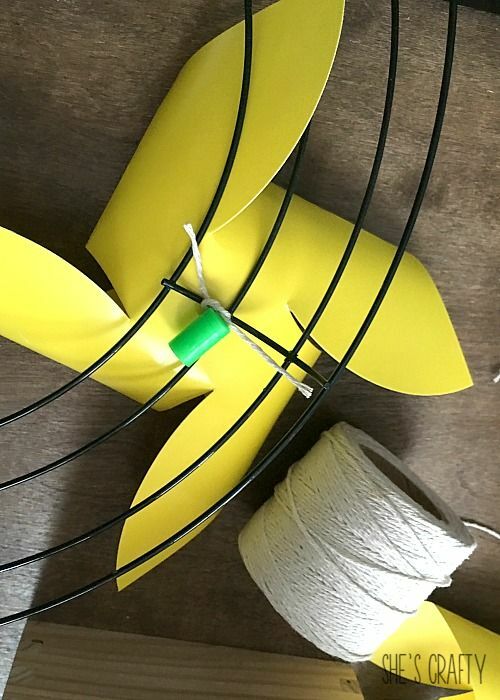 I tied a piece on the back of the pinwheel to the wreath form with cotton string. Then I tied on a variety of ribbons from my stash. And then hung the wreath on my front door. 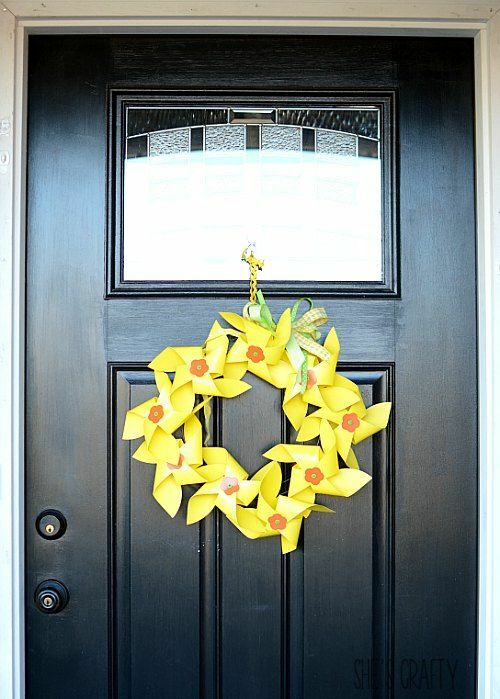 It's such a cute pop of color on my front door! Check out Oriental Trading Company for all of your Spring and Easter needs!